Al SAAEDI & Ezz law firm is a private Firm of highly qualified lawyers, consultants and arbitrators in Cairo, Egypt. And Dubai, Abu Dhabi in UAE; It consists of many departments. People who know us will tell you about a widely capable, multi-talented office that has demonstrated their capabilities in dealing with nowadays-legal problems facing the society. Clients have high appreciation for our ability to structure major transactions. We represent manufacturers, oil and gas interests, banks, agricultural businesses, financial institutions, sports, High Tec, recreation organizations, real estate developers and volume and specialty retailers. In banking and investment and tax law, Ezz lawyers have earned national reputations in influential cases since 1982. In Egypt or in Abu Dhabi, Dubai, U.A.E, we have the best corporate, trade, business, construction lawyers, attorneys with expertise since 1982, we have a department for family, labor law. our goal is to provide our clients with the most appropriate and cost-effective legal talent to help them achieve their business and personal goals. Our aim is long-term client relationships, based on close cooperation and solid results. Where appropriate, we also assign legal assistants to perform legal tasks at a lower cost to clients. We are able to offer a level of client service that we believe is un-matched in our region and national scope. EZZ group never stops giving advises to the party and do not hesitate to present more sounding and efficient advises and solutions.To achieve customer's satisfaction.We established a commercial department who can understand visibility studies, budgets, financial statements, balance sheets, and Assessment of assets and liabilities. People who deal with us haven't to go away to other places or offices to make use of other's services. 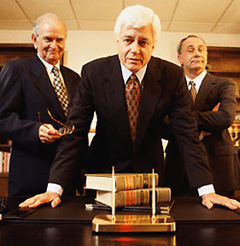 There is obviously a significant business component that underlies our professional efforts; we understand we have an obligation to our clients and to every lawyer, attorney, counsel and other staff, and their dependents to operate effectively and efficiently. Our view is that is best accomplished by maintaining an intense focus on the values and principles on which Ezz law firm was built over the years. We believe that the long-run success of the institution, not any individual or group, must be the governing principle for all decisions. We believe that we have collective obligations – not only to clients, but to all of those who depend on the continued success of Ezz Law firm as an institution – that outweigh any individual or group desires. We also believe that most talented lawyers want to provide truly effective service to clients, and that the Firm should be operated to enhance their ability to do so. We recognize that the words in which these principles are expressed are not unique to Egypt Lawyer's. What is unusual is the fact that the Firm is actually managed through the active application of these principles.